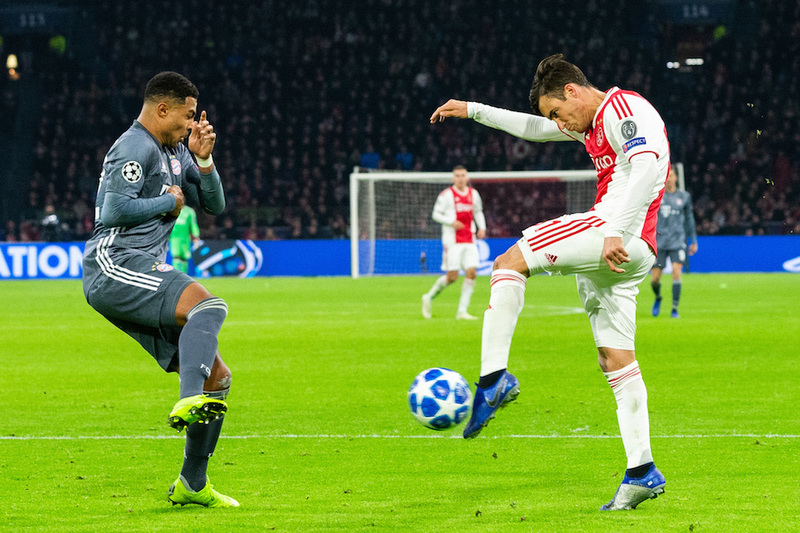 A late equaliser from Nicolás Tagliafico helped Amsterdam football club Ajax to a 3-3 home draw against Bayern Munich in their final match of the Champions League group stage. A win would have put the Amsterdammers on top of group E, who now end the group stage on 12 points from six matches. ‘We’ve just played against one of Europe’s top teams, and in the next round we will come up against another one,’ Ajax coach Erik ten Hag said after the game. ‘If we learn from the mistakes we made, and also work out how to put together good passages of play more frequently, then we have a chance. Striker Dušan Tadić, who scored the two other goals, said Ajax deserve to be in the competition. ‘Everyone should give a lot of respect for this Ajax,’ he told the Uefa website. The draw for the round of 16 takes place on Monday. As number two in the group, Ajax will face Borussia Dortmund, FC Barcelona, Paris Saint-Germain, FC Porto, Manchester City, Real Madrid or Juventus. The first legs take place on February 12 and 13, the returns a week later.